LIMITED PRIVATE EVENT- Please purchase your tickets in advance through the link provided below. No tickets will be sold at the gate. The Honolulu Polo Club and the Hawaiian Islands Polo Association hosted an exhibition polo match between Army and Marines to support the active and retired military men and women and their families. Military Appreciation Polo Match on the News! Polo has a long history, with Persian tapestries depicting the sport since the 5th century BC. Before the age of tank warfare, polo was used as a training exercise for cavalry units around the world. 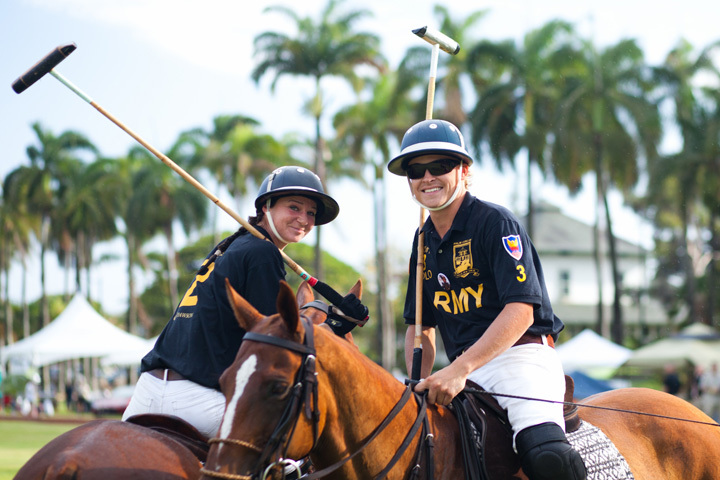 ARMY POLO HAWAII emerged from a desire to perpetuate the sport’s close relationship with the military and to honor our troops (past and present) by supporting initiatives for those in service of our country and their families. 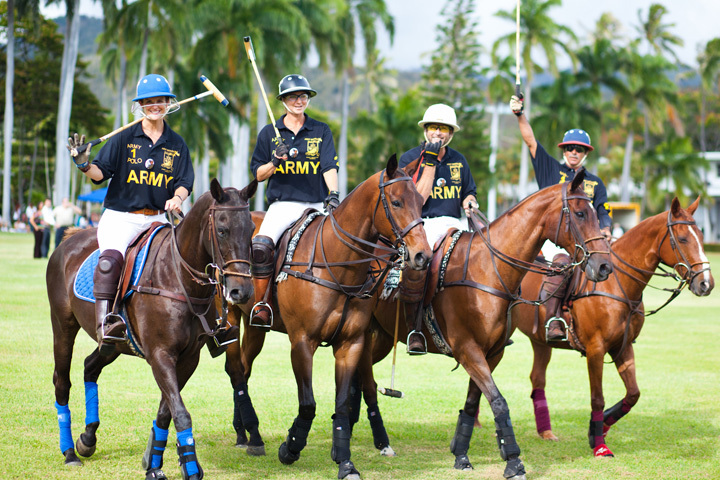 Army Polo Hawaii partners with Association of the United States Army (AUSA) to raise funds for the military community, veterans, and their loved ones. The 2012 polo schedule included games between teams for Army, Air Force, Navy, Marines, and the Coast Guard. An annual highlight was the Palm Circle Polo event which was held on the historic Fort Shafter parade grounds, focusing on the history of polo in Hawaii.